I found a couple of cool old photos of the Bohemia Mines on Pinterest. The first shows a woman riding the ore tram from one mine to the other. The caption says Margie Knowles but I do not know if that was the person in the photo or the photographer. 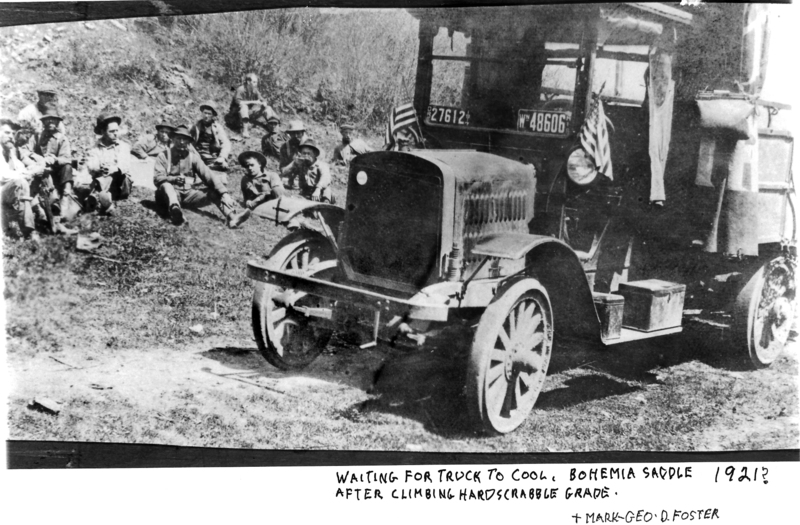 Anyway, it looks like it was a fun way to get around up on the mountain.I found a couple of cool old photos of the Bohemia Mines on Pinterest. 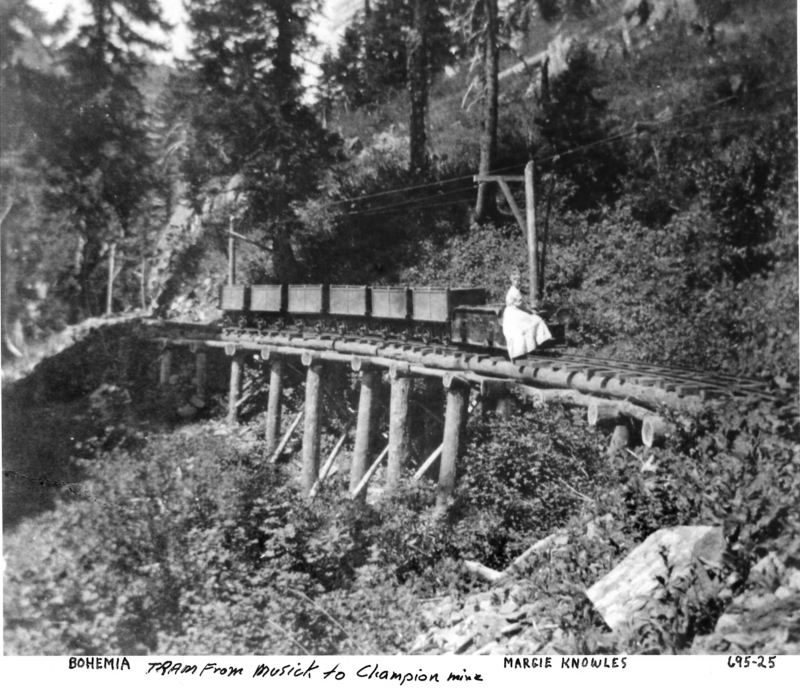 The first shows a woman riding the ore tram from one mine to the other. The caption says Margie Knowles but I do not know if that was the person in the photo or the photographer. Anyway, it looks like it was a fun way to get around up on the mountain. This one shows the aftermath of a tough trip up Hardscrabble Grade. Even today a trip up the Grade often results in an overheated engine.